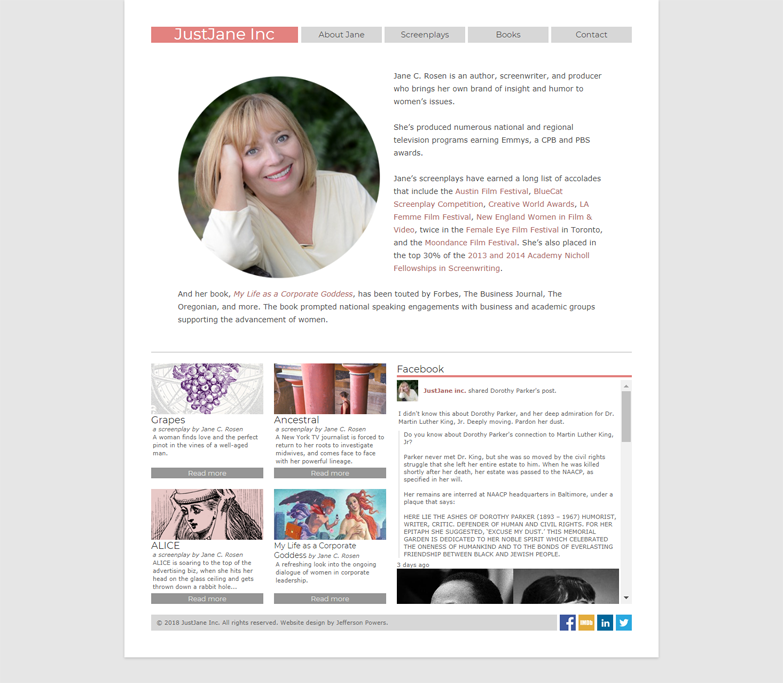 Writer/producer Jane Rosen needed to upgrade her static website to one that could serve dynamic content and that she could easily edit and update. I helped her reorganize her existing content, making changes and additions where needed, and built the site in WordPress, the best platform to incorporate the client’s need for easy updates and a blog she could post new content to regularly. 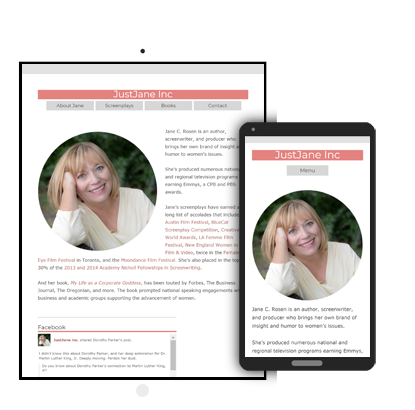 Later, I worked with Jane to refresh the design of her website, updating it to a more modern, streamlined look and feel while retaining most of her existing written content. — Jane C. Rosen of JustJane Inc.